For the bride-to-be, we can recut and alter a gown to fit you perfectly on your special day. Our European tailors can handle even the most skilled handwork such as replacing beads and sequins. And, we are one of the few tailors in the area who can fashion a beautiful French bustle from your elegant bridal train. Our master tailors can hem your suit trousers or sleeves and take in a waistband, as well as completely recut a suit. 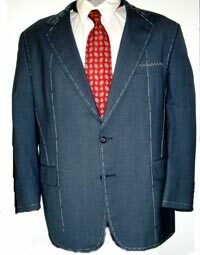 Come to Barrington Tailor Shop and let us fit your fine suit to perfection. We also provide alteration and repair services for suede, leather and fur. Click here to learn more.